A few weeks ago, we told you the real life story of Junior and Sarah, children who were sadly abandoned by their father but luckily came to Kids Club Kampala for help.We thought you would want to know what happened to them, so this is the second part of their story, told by Juliet, a KCK volunteer at Katanga centre. "Junior (9 years old) and his sister Sarah (12 years old) are now officially in the custody of Kids Club Kampala, and I myself have volunteered to take care of them for now. KCK is supporting my family to care for them together through providing the children food and other basic necessities. Before these children came to us at Kids Club Kampala, they felt unloved, uncared for and they had no sense of belonging. They didn’t seem like children, as this love and care was missing from their lives. 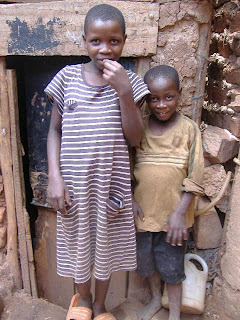 They are now happy because of the care that they have received from Kids Club Kampala including clothes, food and other necessities, which was not the case before they were being cared for under the Ewafe programme. Since being part of this project, the children have expressed their joy for now having a family, and they have regained hope for the future which they did not have before. They now no longer see themselves as children without a home or a family, they have re-gained confidence and self-esteem and they no longer see themselves as any different to other children who live with their biological parents. All thanks for this goes back to God and to Kids Club Kampala who is working hard to bring hope and love to vulnerable children such as these." Juliet is now a foster parent to Junior and Sarah. She is being supported to look after these children by Kids Club Kampala. 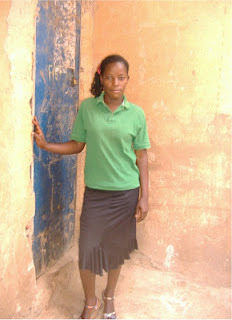 She is also a volunteer at KCK Katanga centre.